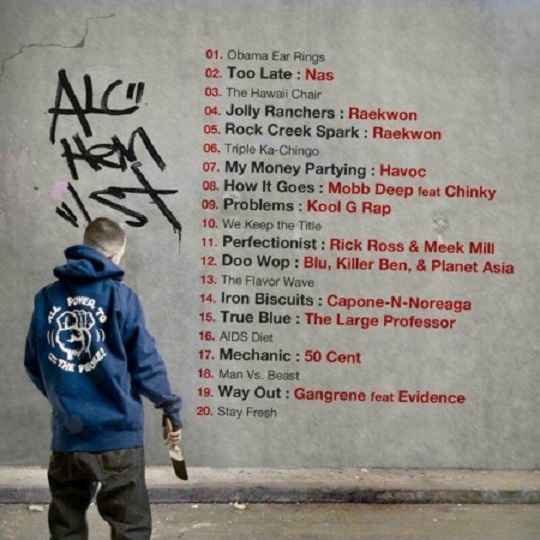 Alchemist is in the works to release his latest compilation project, The Cutting Room Floor 3, which will feature a number of unreleased tracks with Nas, Havoc, Kool G. Rap, 50 Cent and much more. At the moment, there doesn’t appear to be a release date yet available but let’s keep our fingers crossed that the producer decides to bless fans sometimes before the end of the holiday season. This entry was posted in Artwork and tagged alchemist, artwork, hip hop, rap, the cutting room floor 3, tracklist. Bookmark the permalink.